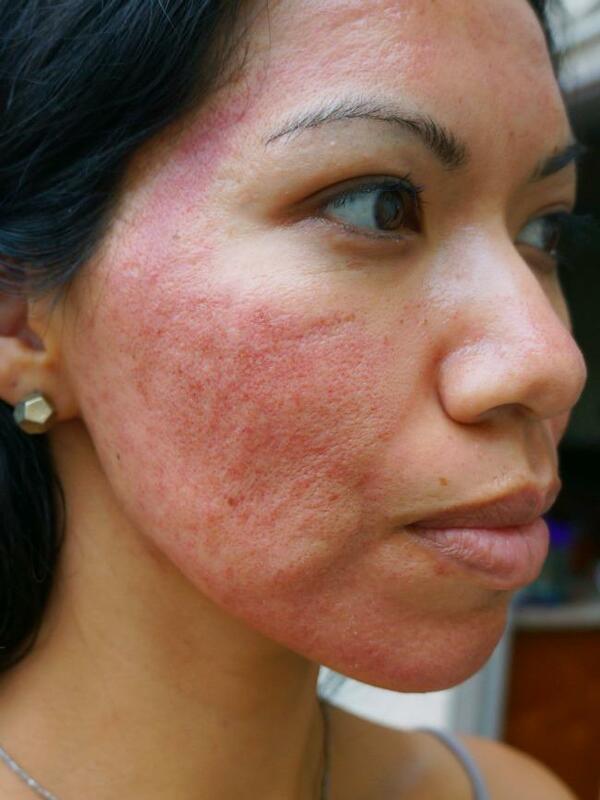 Latinas everywhere will rejoice knowing that while we can’t do the laser treatments, Dermapen with PRP will work to get your skin looking soft, even-textured and acne scars will meet their match. I can’t say enough about how life-changing Dermapen with PRP has been for me. 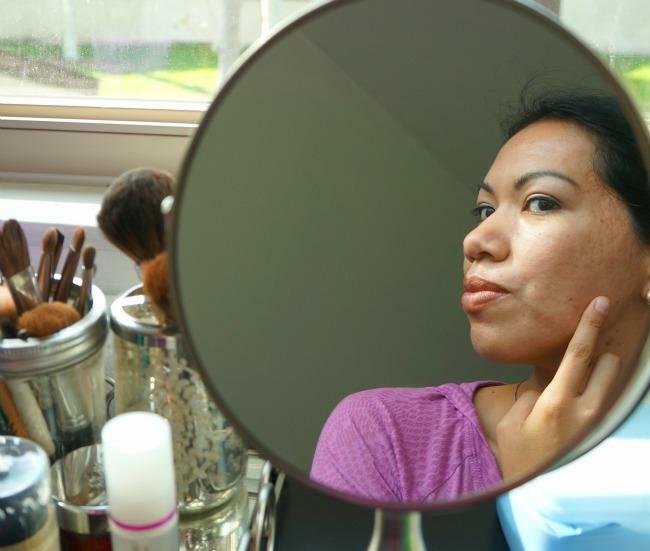 So here’s something I didn’t know before becoming a CosmetiCare mom… there are skin care treatments made just for people with my skin color! 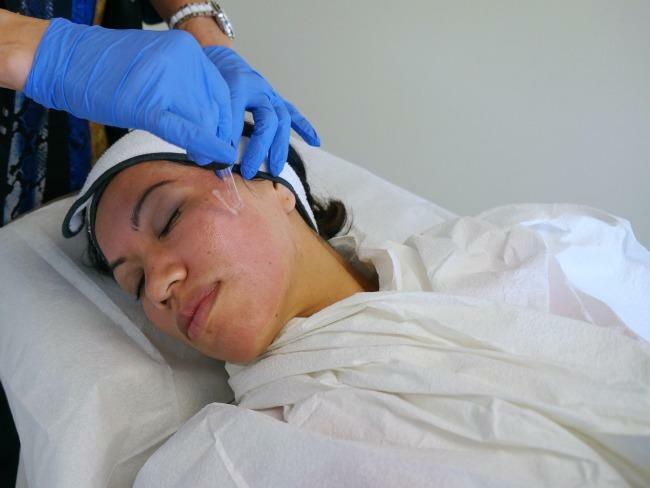 Latinas everywhere will rejoice knowing that while we can’t do the laser treatments, Dermapen with PRP will work to get your skin looking soft, even-textured and acne scars will meet their match. 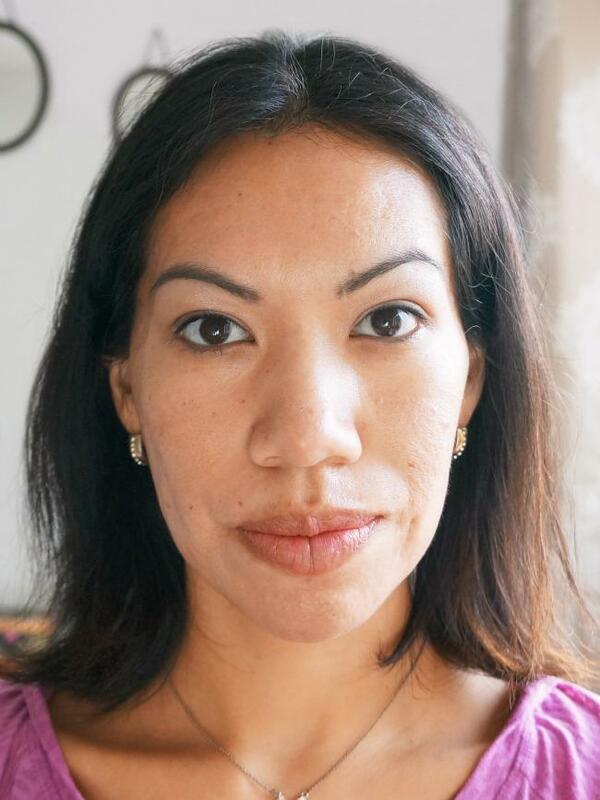 I can’t say enough about how life-changing Dermapen with PRP has been for me. 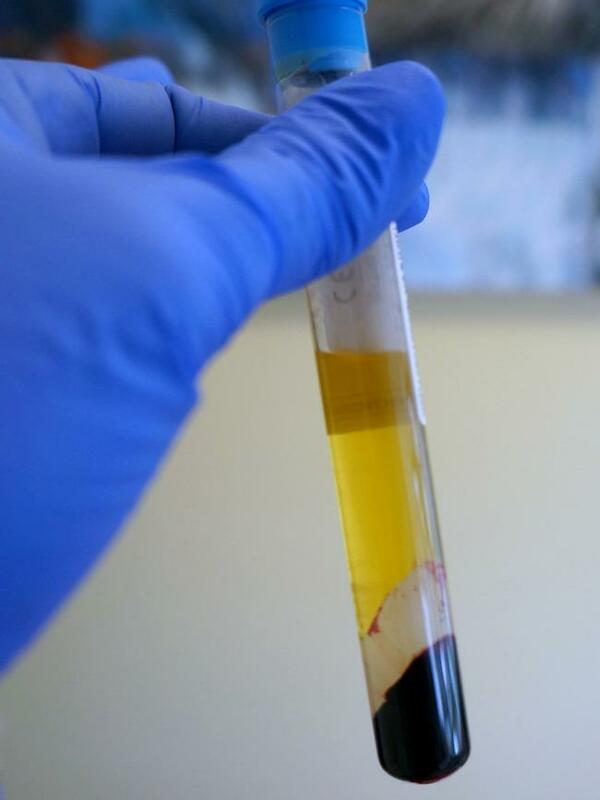 The vial of blood drawn would later be used for the PRP portion of the treatment. 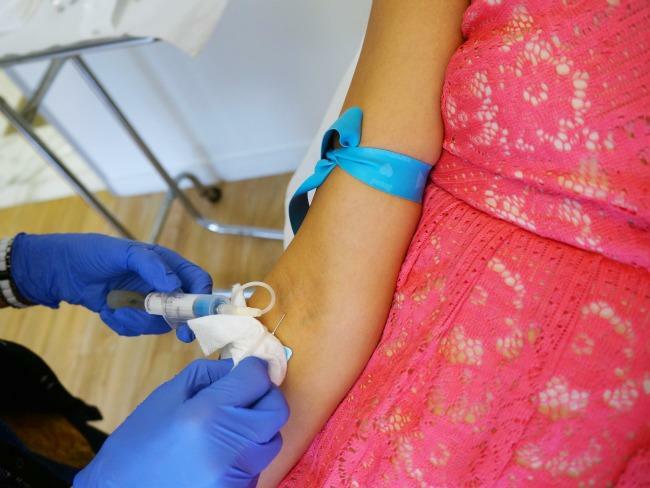 It’s what makes this treatment known as the “vampire facelift.” Popular amongst celebrities, PRP is a must if you want to see your skin get that youthful look and quick recovery. The treatment starts with the numbing cream getting scraped off. After that, the patient lies down and turns the head to one side so that the Dermapen can do its job. 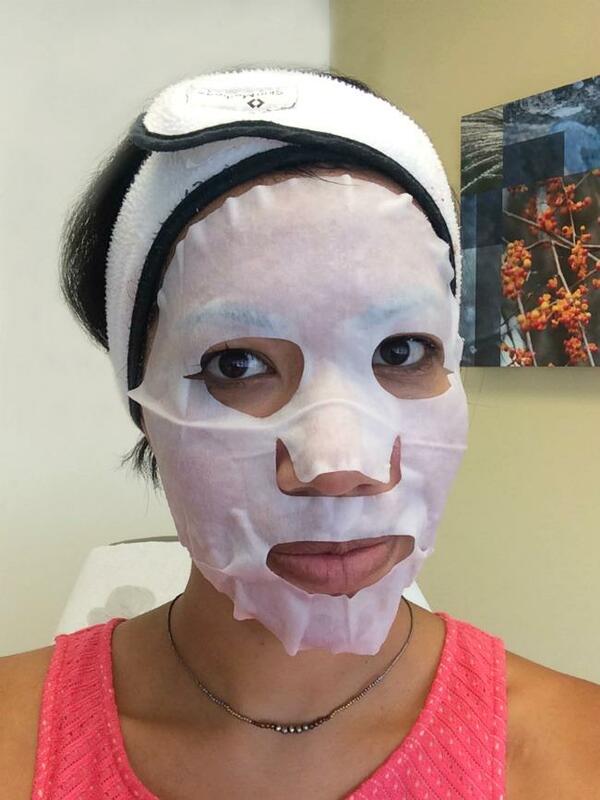 I’m happy to report that the numbing cream made my Dermapen treatment completely painless. I felt some pressure when she went over the spots over my bone and on my forehead, but nothing where I wanted to cry out in pain or have her stop. 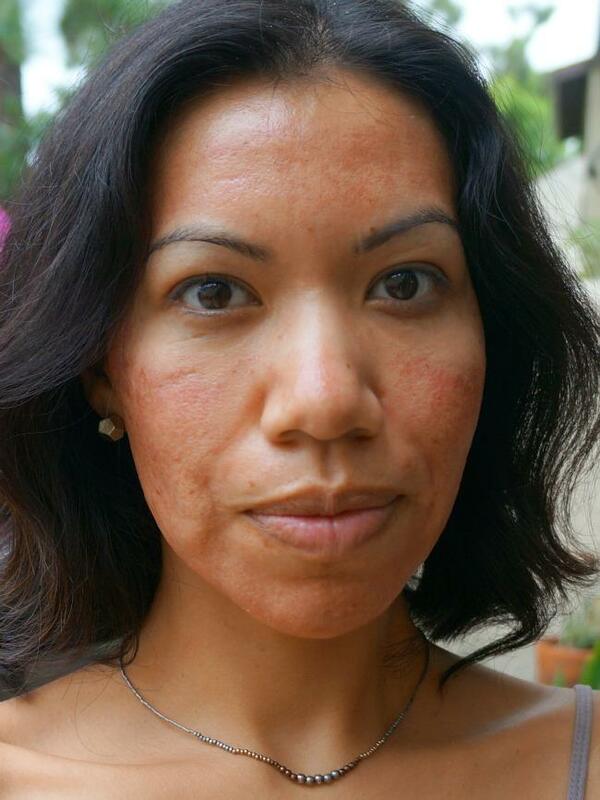 Kat went over a few of my bad spots (by my temples) and when she was done with the Dermapen, my face was left red. Partly from the having my face scrubbed clean, and partly from the blood that surfaced as she worked that pen over my face. Trust me, it looks a lot worse than it feels. She then came back with the vial after having treated my blood. She applied it to my skin and then went over it again with the pen to push the plasma into my skin. Finally, she injected some of it into my skin (still couldn’t feel it because of my skin being numbed) and that was that. She finished my visit by applying a hydrating mask that would help bring some of the redness down and hydrate my skin at the same time. She gave me very strict instructions to stay out of the sun and told me not to sweat for at least 24 hours. 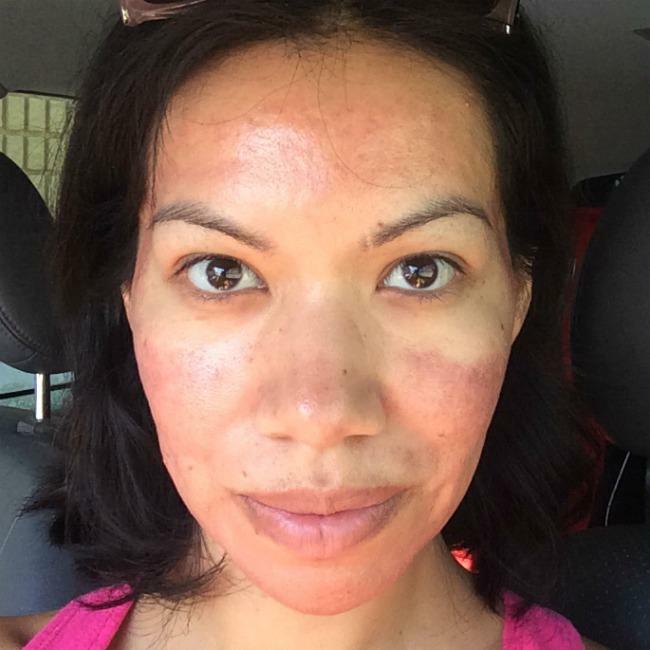 Of course, I had forgotten that I had to pick up my kid from his guitar class that day and that meant that I would have to get out of the car in all my redness glory. That was tough. The next day, I woke up and I saw that some of the redness had gone away. Not completely, and there was no way that I could go anywhere in public, but the healing process had started. 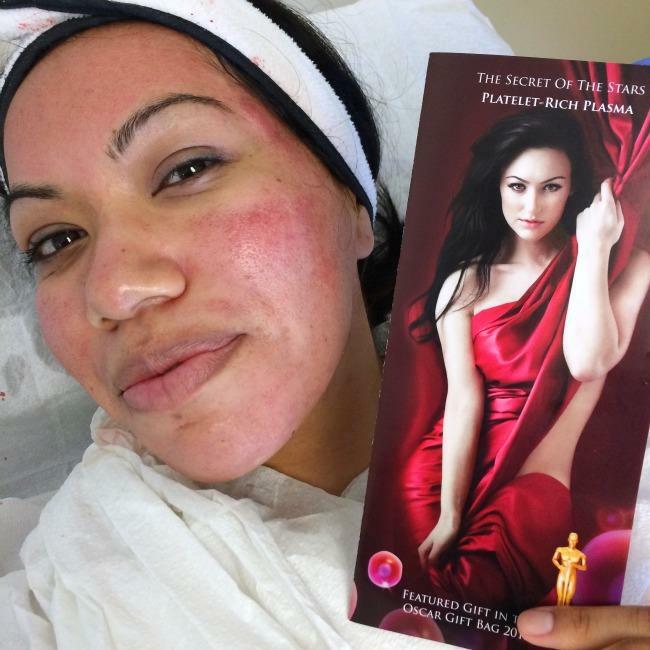 One week later, the redness had gone away and new beautiful skin had resurfaced. My skin looked 100 times better than it had ever looked and my confidence skyrocketed because I felt comfortable in my skin. 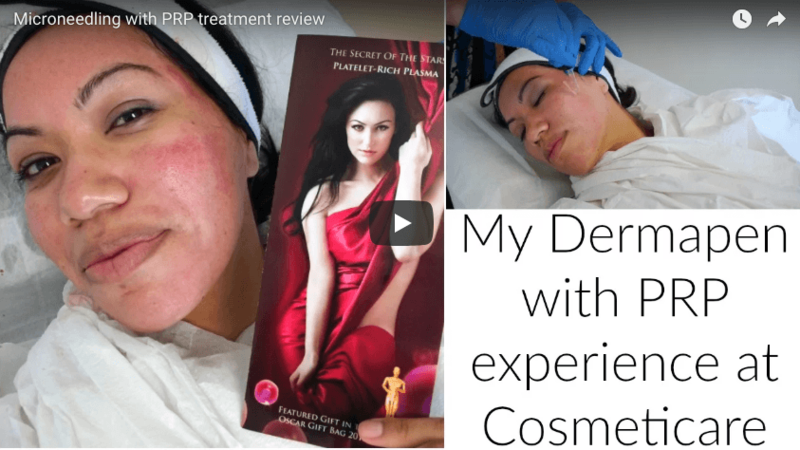 One week later, I had become a Dermapen with PRP believer and I told everyone I could about it. Nowadays, I skip foundation whenever possible. I stick to BB cream and eye makeup. Some blush every once in a while and mostly lip gloss or lip conditioner. I know that my skin is not flawless. I’ll never have that. 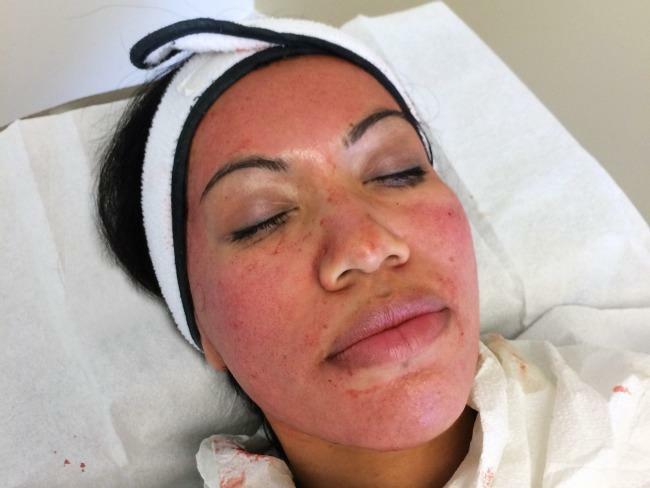 But Dermapen with PRP did some amazing skin resurfacing. I only had one of the three to five treatments recommended, but I fully intend on going back and getting it done again. I cannot stress the difference in my skin because of this treatment, and I’m thankful that something like this exists for Latina skin. It works!!! I took the opportunity to shoot a video of my experience so you can get the full picture of what happens during the treatment. Check it out!